While the iPhone XR is in a league of its own– it doesn’t even go on sale until the end of this month – the iPhone XS and XS Max are considered the true successors to last year’s iPhone X, which featured a total redesign that removed the traditional home button in favour of a facial recognition system and an edge-to-edge OLED display. 1. The iPhone XS Max has a bigger display — and for smartphones, bigger screens are better for just about anything. The iPhone XS and XS Max both feature the same OLED “Super Retina” display from last year’s iPhone X – the same pixel density, same contrast ratio, same everything. The only difference, screen-wise, between the iPhone XS and the XS Max, is the size. But size is a pretty big deal. 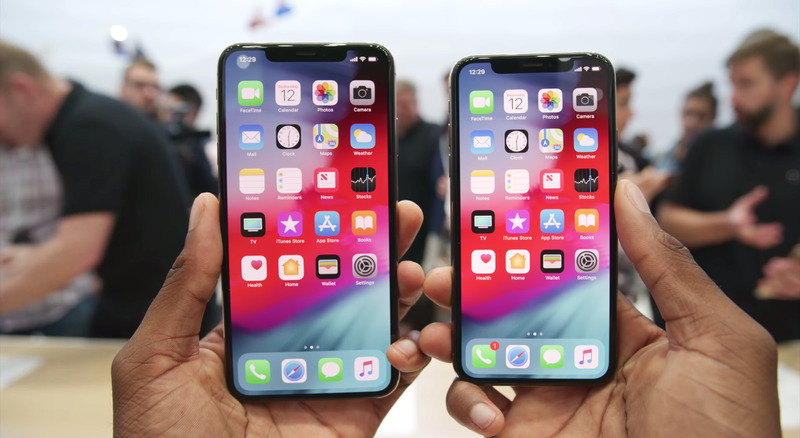 Going from 5.8 inches on the iPhone XS to 6.5 inches on the iPhone XS Max is a pretty substantial leap, and that bigger screen comes in handy just about everywhere: If you’re writing an email, taking notes, watching a movie, or just reading Reddit or Twitter, having more real estate is a good thing. Your content looks bigger and better – particularly your photos and videos, which really pop on that large OLED screen. If you spend a lot of time on your phone, it’s worth the extra $US100 (to start) to upgrade to the bigger screen on the iPhone XS Max. 2. The iPhone XS Max has better battery life than the standard iPhone XS. 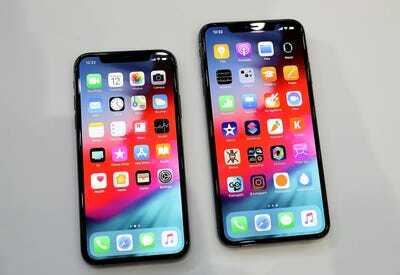 Last year’s iPhone X could last about 12 to 13 hours on a single charge. 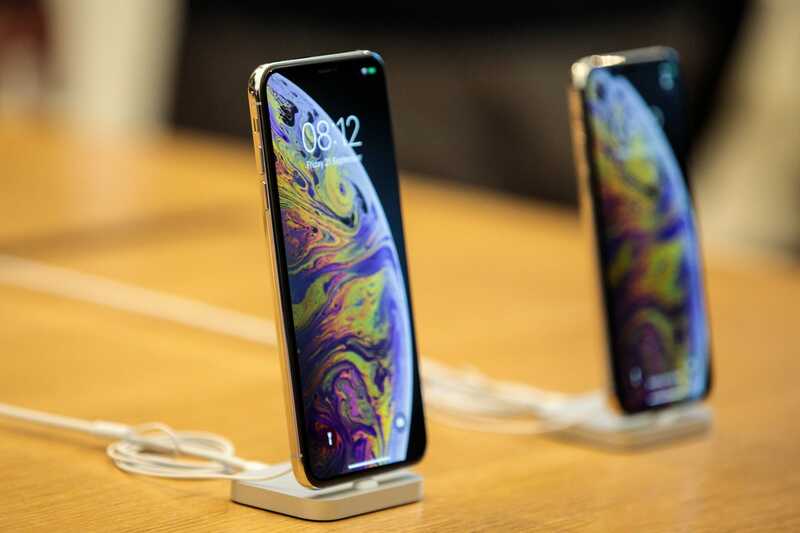 This year’s iPhone XS lasts 30 minutes longer than the iPhone X, so expect 12.5 to 13.5 hours. 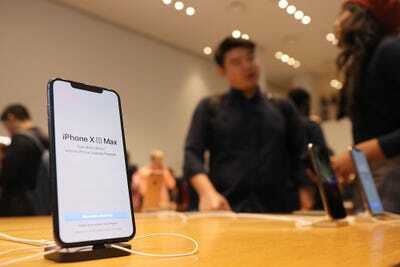 But iPhone XS Max has the best battery life of them all: It lasts 90 minutes longer than the iPhone X, so expect 13.5 to 14.5 hours. 3. The iPhone XS Max has a slight edge when it comes to graphics and overall performance compared to the standard iPhone XS. Both new iPhones feature identical processors – including Apple’s new A12 Bionic chip, 6-core CPU, a 4-core GPU, and a next-generation neural engine that’s dedicated to machine learning. But for some reason, the iPhone XS Max performs slightly better than the iPhone XS when it comes to benchmark scores for graphics and overall speed.